The beginning of July is a bad time for football junkies it is 6 long weeks before the season starts and it has been six weeks since the last one closed. There has been a little bit of international action but all that does is heighten the sense of longing for real club football to start again. Right now football fans are like polar bears in summer waiting for the sea to freeze, they are hungry scavengers feeding off any morsel of news, they are bit crotchety and likely to attack if provoked. It is into this desolate football free landscape that West Bromwich Albion Chairman Jeremy Peace gave one of his few press interviews. Peace does not do much media these days he is somewhat more forthcoming than Abramovich who has barely uttered a word in a decade but has a far lower profile than say Dave Whelan. So when he gives a state of the nation address via local journalist Chris Lepkowski it is always going to provoke some reaction amongst the fans. Mr Peace seemed quite downbeat although much of what he said he had said before. He reaffirmed that the club would be operating prudently in the transfer market although he acknowledged that the club would be having a busy summer given the number of players that had left the club at the end of the season. He also rubbished FFP and the FA's youth development scheme, it has subsequently emerged that two of the brightest starlets from the Albion's academy have been poached by Liverpool and Chelsea for relative peanuts which might explain why the Baggies owner was a little bit disillusioned. We're a mid-table Championship club that is massively over-performing. Cue twitter meltdown. All of a sudden Peace was surrounded by angry Polar Bears outraged at his overly downbeat assessment of where their club was at. Even if he had said the club was over performing most would have nodded in agreement. In a world where the only thing that matters is money (history is something that is in the past and does not pay the bills today) Albion had the 15th biggest wage bill in the Premier League but managed to finish 8th the very definition of over achievement. However to label Albion a mid-table championship club angered fans to a degree I have rarely seen. Why? Logically if we are overachieving today we will regress toward the mean at some point in the future I guess the only debate is what is the mean and how quickly do we regress to it? There are a handful of clubs who pretty much will never be relegated maybe the top seven or so sides. Clubs as wealthy as Newcastle and West Ham have both contrived to be relegated in recent years so it is a real possibility for at least half the Premier league .Ten clubs are in effect trying avoid finishing in the bottom. three spots. Assuming that one of the spots is nearly always occupied by one of the promoted teams so one or two established premier league clubs will be relegated every year or the chances of getting relegated for a club like Albion are about 20% to 25% we would therefore be doing well if our current tenure lasts more than 6 or 7 seasons (next year is season 4) although should we still be in the league in 20 years time it might be time to reconsider the assumptions I have just made or it is a sustained period of good fortune. On relegation we are a championship club with parachute payments and that gives us three shots of getting out of the division before we revert to being just another ex premier league club in championship. The current roll call is Leeds United, Nottingham Forrest, Leicester City, Charlton Ipswich, Middleborough and Sheffield Wednesday. All those clubs with the exception of 'Boro and Ipswich have spent time in the footballing gulag of Division One so mid table Championship might not be the worst place to regress to. The harsh fact is strip away the income from the Premier League and most clubs are championship clubs. They may have fancy stadiums, first rate training facilities and excellent academies that would not look out of place at a higher level but none of it is worth a mess of beans when they are slogging through a Championship season against a minimum of three sides who have you at a fairly significant monetary advantage. It takes a huge effort and more than a little luck to escape via the front door and as Wolves well know there is a different route out of the Championship. Maybe the Chairman was being overly cautious maybe he down played expectations a little too much maybe you could explain his comments but the Polar Bears were having none of it, they were angry and baying for blood. 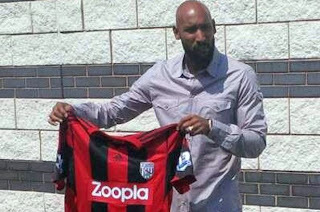 This is an uncomfortable position to be in however the Chairman managed to deploy that well known polar bear pacifier, the marque signing in the form of Nicholas Anelka holding the new WBA away shirt. "I don't want to worry you but is that a Polar Bear behind you?" This had a remarkable effect. 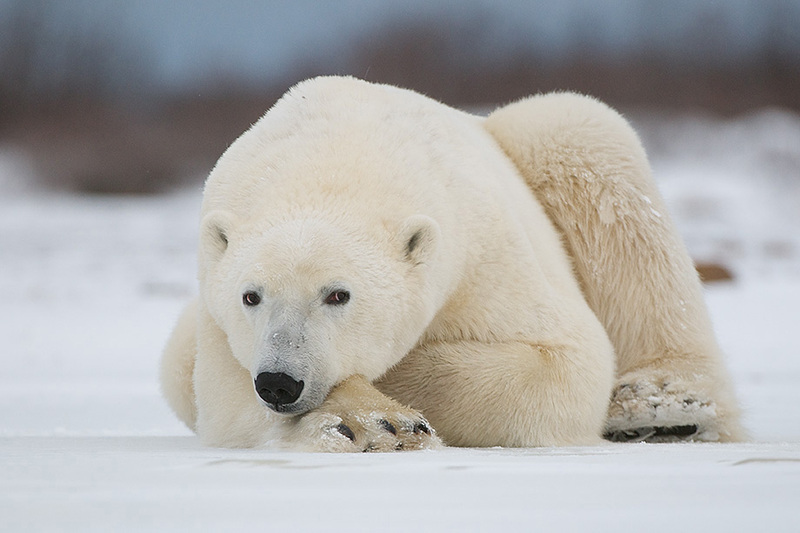 The polar bears stopped growling and pretty much just went back to waiting around for the winter. It seemed to escape their notice that Anelka might not be quite at his peak and that he had been away from top level football for the best part of 18 months but I guess if you have not seen fresh seal meat for a while a bit of left over caribou looks pretty appetising. Personally I am left a little bewildered by the reactions of my fellow fans both to the chairman's statement and the unbounded joy that greeted the news that Anelka had signed. It is a good signing and one that has been de-risked as much a possible by the club but it absolutely will not make or break the club next season. There are at least four more signings to come this summer getting those right and getting some younger legs into an ageing squad will be far more important. Although Anelka seems to be keeping the bears at bay for the time being.